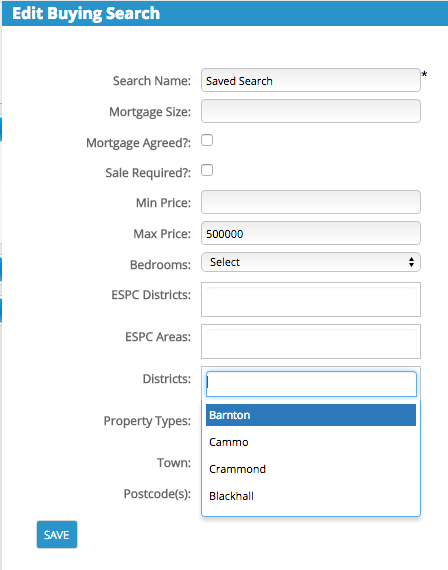 If your administrator has added custom areas to BDP these will be available to you in the Property Address widget in the property details page. They will also be available in the Search criteria on the Applicant page. 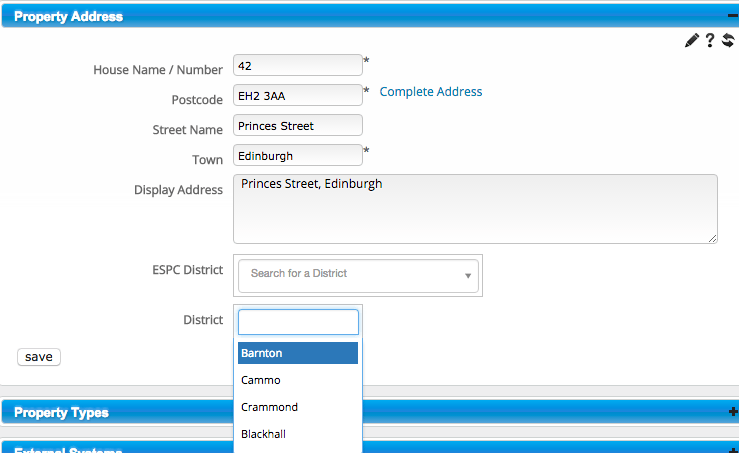 When in the property address widget click in the Districts box and a list of available areas will appear. If the list is long, start typing the first letters of the area required and the list will narrow down. Click on the area required. When in the Applicant widget, click to add or edit a buying search. Click in the Districts box and a list of available areas will appear. If the list is long, start typing the first letters of the area required and the list will narrow down. Click on the area required. If you have allocated a custom area (district) to each property in your portfolio and you have added the areas of interest to your applicants’ search, you can use this field to match buyers to properties. In the Applicant search widget, click the Search in UI icon and all matches will be returned. Please note that ALL fields need to match.